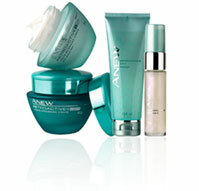 Buy Avon Cosmetics - improves Skin Texture, Smoothens Skin Surface, Oil Clear, Minimise Pores,Dark spots, Sun Spots and Scars. Worldwide shipping. Ships usally within 2 days. Perfect for every occasion. This timeless classic never goes out of fashion! Sparkling notes of honey suckle, gardenia, jasmine, sandalwood and cashmere musk make this one a must-have on your beauty rack. Flirty goes with everything! Fresh citrus flirts with floral bouquets and sensuous white woods. 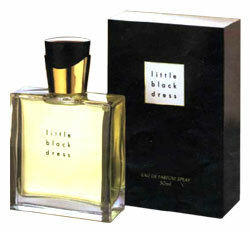 Little Red Dress by Avon is a Oriental Floral fragrance for women. Little Red Dress was launched in 2011. This is a new fragrance. Retroactive prevents the 1st signs of skin ageing by combating the invisible phenomenon of degradation. It targets and repairs micro-damage beneath the skin and stops the ageing process. See lines and wrinkles fade! Younger - Looking skin in just 2 weeks! 97% of women showed an improvement in fine lines and wrinkles!. You're one step away from absolutely clear skin! Grab this fabulous range and say hello to blemish- free skin!